PIR – What is it and why should you care? What the? you ask. This doesn’t sound very Christmassy. That’s because it’s not, really. But it is bookish and certainly something you should think about as you ponder over those last m inute literary Christmas gifts. There’s a sinister little acronym doing the rounds again, which deserves your attention, PIR. 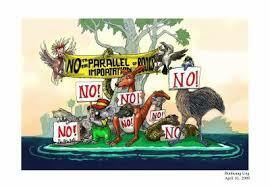 Parallel Importation Restrictions, is not a simple concept to grasp in 60 seconds but worth trying to understand. Essentially, if you love stories, love books, and love reading, then the removal of these importation restrictions can and will affect you. 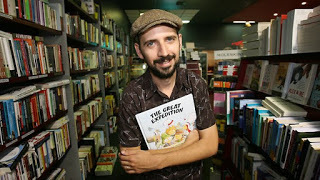 Children’s author illustrator, Peter Carnavas describes the impact on the children’s literary scene in a recent blog post issued by Saving Aussie Books AGAIN. His words reverberate similar sentiments held by many in the Kids’ Lit world. ‘As a children’s author/illustrator, I know the huge impact that my books and other Australian books have on children, inspiring them to develop a love of reading. If PIRs are removed, so many Australians will lose out – authors, illustrators, publishers, independent booksellers, teachers, librarians, parents and, most of all, children. It is a move that will only disadvantage these stakeholders and weaken Australian culture. I am just one of hundreds of Australian children’s book creators that would be forced to reconsider the viability of making children’s literature. We already receive minimal earnings, dedicating ourselves to what we do through our passion for promoting literature and stories to children. ‘The surest way anything positive happens is through People Power, and that means you, me and everyone in our industry who cares about Australian children’s books and young readers. Lifting the Restrictions against Parallel Import threatens all those Australian publishers who took the risk of publishing the books in the first place and who invested in the development, editing and publication of the books. There have been massive cutbacks to our industry – this will add so many more difficulties and restrictions. Less money means less books published, less new authors, less risks taken at all levels of authorhood. So what, you may be asking. Story is story. If you have the option to buy a cheaper ‘version’ of the same story, why not? Sure, many books are sourced online nowadays but there are still sites, such as this one, Boomerang Books which are Australian owned and operated and offer original Australian content and titles at discounted prices. Opting for the severely discounted, ‘altered’ overseas versions of our Australian stories found in discount chain stores further depletes a uniquely faceted yet delicate culture already challenged by a gamut of Americanisms. Of course, it’s the Z Generation that concerns writers and illustrators for children most. Children risk further literacy confusion. Parents will not be able to identify imported copies from the ‘real deal’ with ease and confidence. Essential settings, sense of place and character idioms will disappear from our language and when that happens, a people as a whole alter inextricably. ‘Books written in our country give Australian children insights into our unique culture; those books speak our language, colloquialisms, our English-Australian spelling, even common words (like Mum instead of Mom; pavement instead of sidewalk; tap instead of faucet, and so many more), our Aussie humour that Australians ‘get’, but is mostly misunderstood overseas, and most of all a subtleties in picture books that I have seen changed in Australian books to suit the American market. If the repeal to drop current restrictions on parallel imports is successful, the effect for Australian readers, let alone those whose livelihoods revolve around producing those reads, will be knee-breakingly devastating. To petition this very real threat to (y)our reading-way-of life, please take a moment to consider the impact by reading through Saving Aussie Books AGAIN. Visit the petition site, here. Support our beautifully diverse, colourful reading culture and all those whose dreams and stories create it by signing on-line. And please, please, do it before it’s too late. Excerpts, quotes and images included from Saving Aussie Books and Saving Aussie Books AGAIN used with permission. 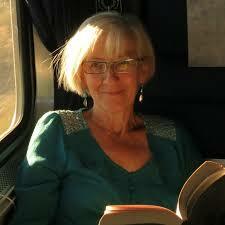 Posted on December 18, 2015 Author Dimity PowellCategories Book News, Dimity PowellTags Australian idioms, Australian literary industry, Australian publishing, Australian Society of Authors, parallel importation, Peter Carnavas, Petition, PIR, Saving Aussie Books, Sheryl Gwyther, way of life1 Comment on PIR – What is it and why should you care?